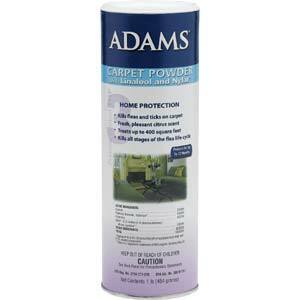 Adams Carpet Powder kills fleas and ticks on carpet contains Nylar®, an Insect Growth Regulator, and the botanically-derived insecticide, Linalool. It kills all four stages of fleas: adults, eggs, larvae, and pupae. 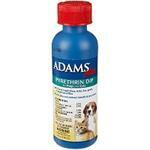 Adams Carpet Flea Powder breaks the flea life cycle and controls reinfestation for up to 365 days. One 16 oz. bottle treats 1-2 rooms or 200-400 square feet.